A shop filled with german antique and vintage Wedding Accessories. 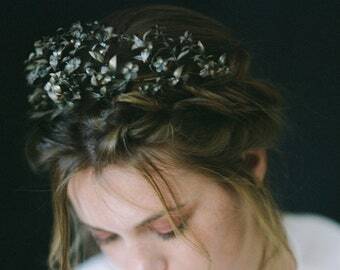 All the antique wedding crowns and accessories you see in my shop are sourced by me from flea markets, estate sales and with the help of my 87 year old grandmother who looks for them through their friends and acquaintances. Couples in the ancient world wore myrtle to their wedding since it was a symbol for love "that lasts beyond the grave". 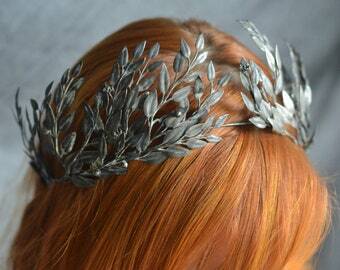 Since the 16th century wearing metal and paper myrtle on a wedding is a tradition in Central Europe. 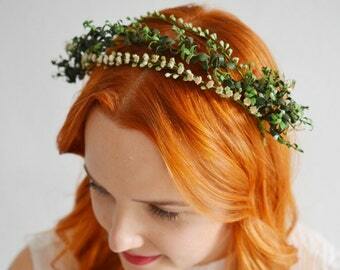 The brides wore a myrtle crown on their head and the groom pinned a small bouquet on their lapel. They were also gifted to those who celebrated their silver wedding anniversary, as well as their golden. Perfect! Beautiful! Amazing! And it got to me quickly. Absolutely beautiful and the seller was so sweet and wonderful to work with. Thank you again! Love it. Superschöne antike Tiara, ich bin hin und weg! 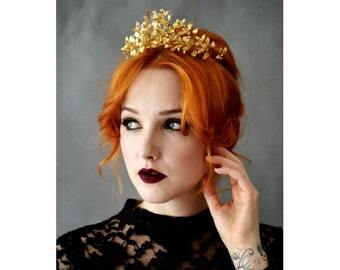 This wonderful tiara has a hidden secret photoframe! Can you guess where it is? The Corsages some of the Tiaras come with are so beautiful but don‘t get enough attention! I keep most of the tiaras and glass domes in an old dresser that used to belong to my great grandfather. Since a lot of crowns I find are damaged and dirty I need to clean, reshape and repair them. I take all of my product pictures myself. My little studio at home. 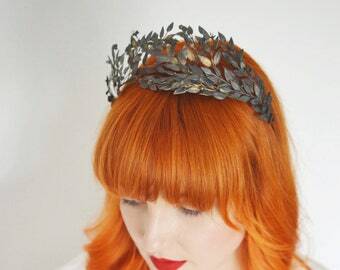 After opening my Etsy Shop Polly McGeary- Handmade Goods in 2012 I decided to add antique wedding crowns to the range. Polly McGeary is ever growing and one shop started to seem to small. I decided to open a second Shop. 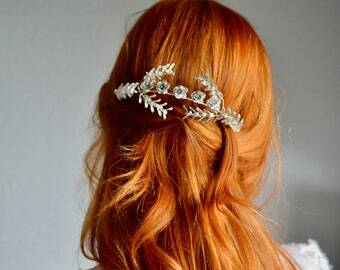 Polly McGeary - Wedding Antiques hold all the bridal crowns, antique veils and vintage accessory. This way both handmade and antique products can have their own space! My name is Aline. I am a fashion design graduate. I live and work out of my small workspace in my home in Berlin, Germany. Everything whimsical, and pretty I come across will be captured in a photograph, picked up, bought or collected. (1) Die nachstehenden Geschäftsbedingungen gelten für alle Verträge, die Sie mit uns als Anbieter (Aline Niedrich) über die Internetplattform etsy schließen. Soweit nicht anders vereinbart, wird der Einbeziehung gegebenenfalls von Ihnen verwendeter eigener Bedingungen widersprochen. Wir legen größten Wert auf den Schutz Ihrer Daten und die Wahrung Ihrer Privatsphäre. Nachstehend informieren wir Sie deshalb über die Erhebung und Verwendung persönlicher Daten bei Nutzung unserer etsy -Seiten. Ich begebe mich gern auf die Suche nach einer passenden Myrtekrone für Sie. Bitte schreiben sie mir einfach eine Nachricht!